There couldn’t be more of a contrast between the Feather River last fall during the salmon season and the same river this winter since the Oroville Dam emergency. In early October, the Feather from the Thermalito Afterbay Outlet to the mouth at Verona was the idyllic scene of the best salmon action of the season, with many anglers catching limits of the hard-fighting fish, in spite of the tough fishing for most on the Sacramento and American rivers. On a beautiful day in early October, I fished the clear, rushing waters of the river below the Thermalito Afterbay outlet with Robert Weese of Northern California Guide Service and a family of four, including Jeff Bosshard, his wife Regina, 12-year-old Greyson and 10-year-old Vivica, for one of the top salmon fishing trips I’ve been on anywhere in recent years. The enormous erosion damage to the Oroville Dam’s primary spillway is shown here. The four clients, Robert and I put our full limits – 12 fish ranging from 7 to over 25 pounds – in the fish box by 9:37 am. We also lost another half dozen fish. Fortunately, officials two days later changed the evacuation order to an evacuation warning and people were allowed to return to their homes and businesses. The giant hole caused by erosion in the primary spillway and then the erosion and damage to the emergency spillway that spurred the evacuation, followed by the release of 100,000 cfs down the primary spillway, also created the need for two rescue operations of salmon and steelhead by the California Department of Fish and Wildlife (CDFW) and the California Department of Water Resources (DWR). First, CDFW staff completed a successful relocation of 6.5 million young Chinook salmon imperiled by raging, muddy flows of 65,000 cfs below Oroville Dam a couple of days before the Department of Water Resources and law enforcement agencies issued the evacuation order. Hatchery staff from throughout the state teamed up with Feather River Fish Hatchery to relocate the 6.5 million fall-run and spring run Chinooks to the hatchery annex near the Thermalito Afterbay, according to Andrew Hughan, CDFW spokesman. These fish, approximately 1 inch long each, would have died from suffocation in the turbid, sediment-laden water if left in the raceways of the hatchery. Approximately 1.5 million juvenile salmon remain in the hatchery where they will be benefit from sediment ponds set up to cleanse the water. Engineering staff also set up a a charcoal filtration system utilizing a fire hydrant pump for the 1 million eyed steelhead eggs remaining in the hatchery. The primary spillway at Orovile Dam with 100,000 cfs going into the Feather River. Second, the salmon and steelhead in the river faced another emergency at the end of February when DWR cut off spillway releases to work on the devastatated spillway, where the spillway cavity had grown into a giant hole encompassing much of the spillway as 100,000 cfs of water went into the Feather. The agency dropped combined releases down to 2400 cfs, leaving many steelhead, Chinook salmon fry and other fish stranded in the suddenly created ponds. The CDFW and DWR staff then began the second rescue effort, removing the stranded salmon and steelhead from the ponded areas and then putting them back in the river’s main channel, Jason Kindopp, DWR senior environmental scientist, reported on March 2. Crews first flew over the river by helicopter for two days to survey areas where fish were likely stranded in ponds created by the drop in flows. From these surveys, they developed maps showing the ponded areas. The crews of DWR and CDFW staff then targeted 150 ponds, rescuing adult steelhead and yearlings spring run and fall run Chinook fry. In addition, they also rescued a lot of Sacramento pike minnows, pond smelt, bluegill, green sunfish and other fish species. The effort took place on a large stretch of river from Oroville Dam to the Highway 99 Bridge at Nicolaus. The operation started with five boats staffed by 20 biologists and staff. At its peak, 50 people in 12 boats participated in the effort. 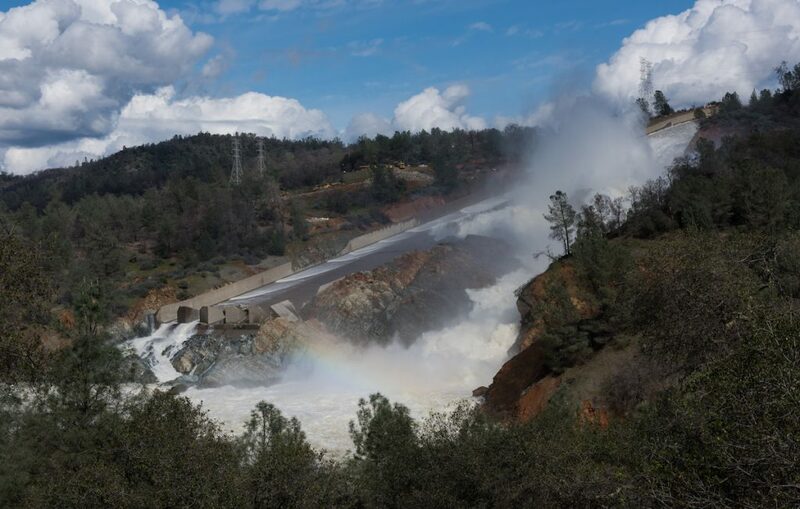 Kindopp believes that the high flows of up to 100,000 cfs down the Oroville Dam spillway will have both positive and negative results, depending on the fish species, although the impact of the Oroville Dam crisis won’t be fully known for years. 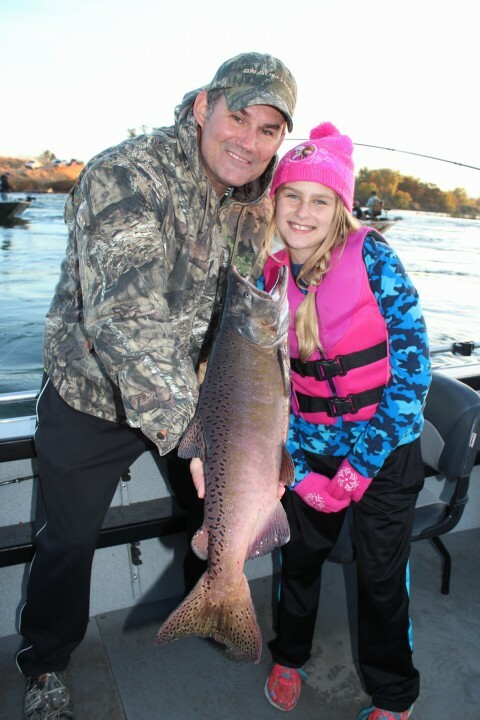 Jeff Bosshard and his daughter, Vivica, pose proudly with the king salmon that she caught while fishing the Feather River below the Thermalito Afterbay Outlet with Robert Weese of Northern California Guide Service on October 6, 2016. Steelhead are another story. The sudden drop in flows also dewatered large numbers of federally protected steelhead trout nests, leaving incubating eggs high and dry. The Golden Gate Salmon Association called on DWR to exercise caution to preserve what’s left of the 2016 wild Feather River baby salmon run. 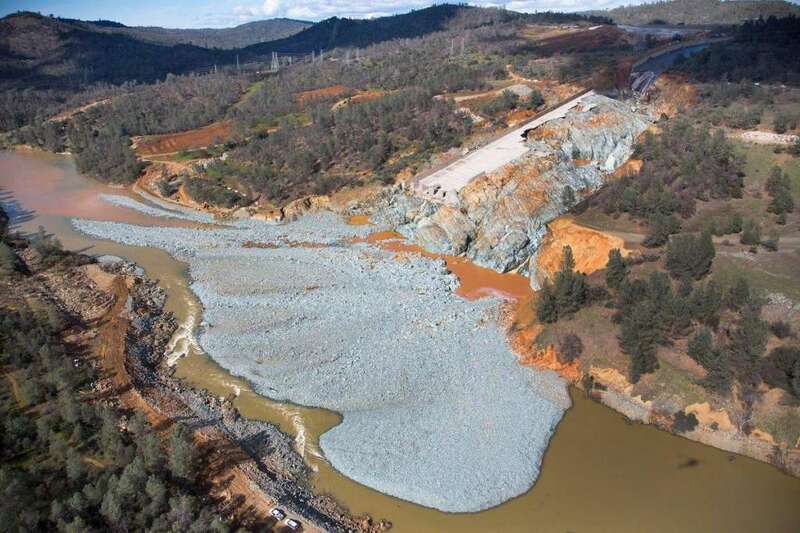 “Protecting public safety, in response to the failure of the Oroville spillway is absolutely critical,” said GGSA board member Mike Aughney. “But California’s salmon and salmon fishermen are also being harmed by this crisis. “We’re grateful to the CDFW and other state workers who are out now trying to save our future by rescuing these stranded baby salmon. These folks have been worked to exhaustion and we acknowledge the great work they’re doing,” he explained. GGSA executive director John McManus called on DWR to conduct its repair and response operations in ways that minimize loss of wild baby salmon downstream. “Those small two inch salmon will be two to three feet long in 2019 and 2020 and represent our future income,” said McManus. 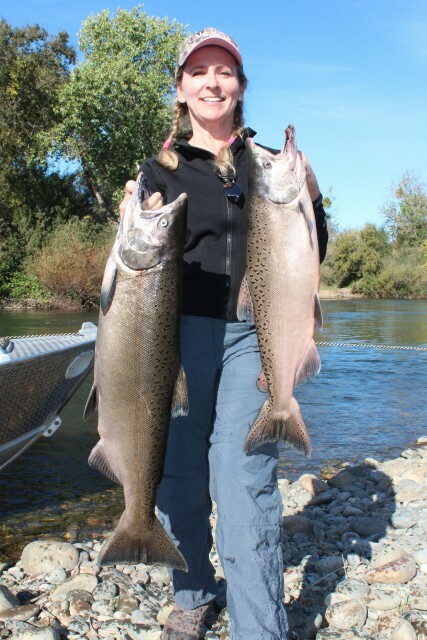 Regina Bosshard holds up a limit of Chinook salmon that she battled during a trip on the Feather River with Robert Weese of Northern California Guide Service on October 6, 2016. McManus noted that dam operators are required to follow strict protocols governing how fast water releases from dams can be turned down in order to avoid stranding fish downstream. In this case, he said problems with the failure of the spillway forced hard choices leading to the sudden shutoff of releases. 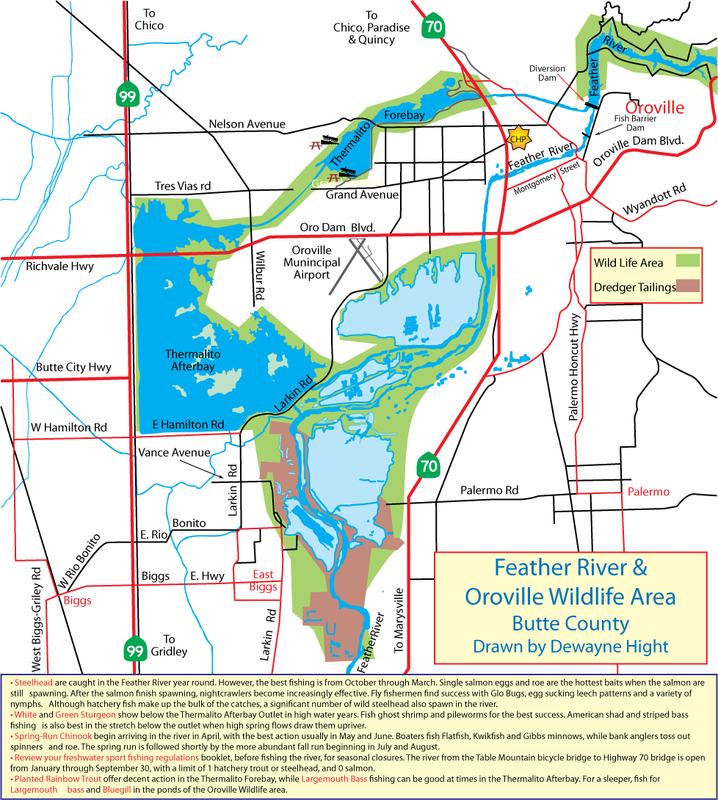 “After the immediate emergencies are dealt with, the state needs to also address long term structural problems caused by the poor design of the 50 year old Thermalito complex downstream of the dam that often makes the Feather River lethally hot for spawning salmon. Fixing this design flaw is a requirement to renew the dam’s operating license with the Federal Energy Regulatory Commission,” McManus concluded. The Feather River has been the greatest single contributor to Central Valley salmon runs in recent years. In 2016, 61,671 (59%) of the total estimated 104,229 combined hatchery and natural fall Chinook salmon that returned to the Sacramento River system came from the Feather River. Location: The lower Feather River, the principal tributary of the Sacramento River, runs from below Oroville Dam to its junction with the Feather River at Verona. The river’s main stem is about 71 miles long. This river from Yuba City/Marysville to Verona is characterized by riffles, sandbars, long flats and some deep holes. Seasons: The salmon season is open from July 16 through December 16 in the section from 200 yards above Live Oak boat ramp to the mouth. Tbe section from the unimproved boat ramp above the Thermalito Afterbay Outlet to 200 yards above the Live Boat boat ramp is open to salmon fishing from July 16 through July 15. 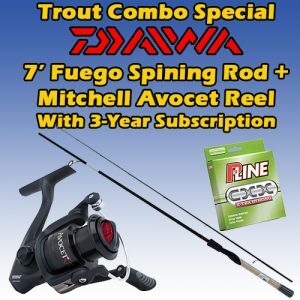 The limit is two Chinook salmon, Fishing for steelhead, striped bass, smallmouth bass, largemouth bass, channel catfish and other fish species is open year-round in these sections. Boat ramps: Public launching is available at the Yuba City boat ramp, Riverfront Park in Marysville, Star Bend in Marysville, Boyd’s Pump and the Verona Marina. For more information about boat launching or camping at the Verona Marina, call 916-927-8387. 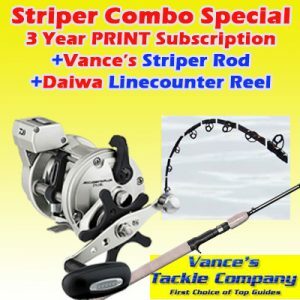 Fishing Guides: Guides are available for king salmon, striped bass, steelhead and shad fishing during the different seasons. 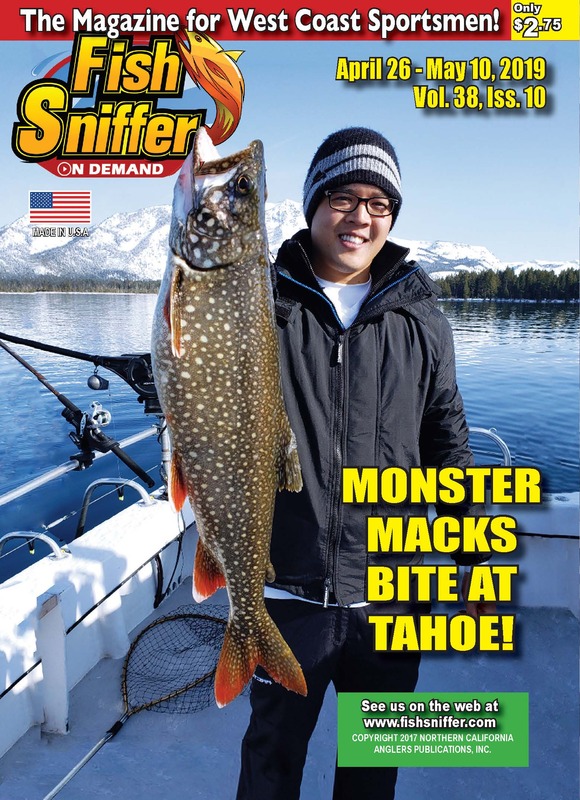 Guides include Robert Weese of Northern California Guide Service, 530-755-7196, http://norcalsalmonguide.com; Bret Brady of Bare Bones Guide Service 530-272-7137 or 530-263-4451, Manuel Saldana, Jr. of MSJ Fishing Guide Service 530-301-7455, James Stone of Elite Sportsman Guide Service 530-923-9440, James Netzel of Tight Lines Guide Service, 888-975-0990; and Kevin Brock of Kevin Brock’s Guide Service 800-995-5543. Bait and Tackle Stores: Johnson’s Bait and Tackle, Yuba City, (530) 674-1912, Elkhorn Outdoor Sports, Rio Linda, (916) 991-5298.